According to Thenewage.co.za, a host of stars from the world of politics, music and film including German hard rock icons Scorpions gathered to celebrate former Soviet leader Mikhail Gorbachev's 80th birthday at a charity gala event in London on Wednesday. The event was aimed at raising millions of dollars for cancer charities, including The Raisa Foundation, named in honour of the 1990 Nobel Peace Prize winner's late wife. 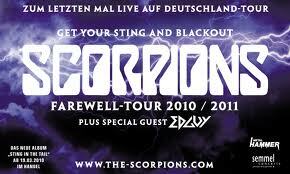 Check out the Scorpions' massive hit 'Wind Of Change' below. The Scorpions were inspired to write the song on a visit to Moscow in 1989 and the song peaked at #1 in seven countries in 1991.